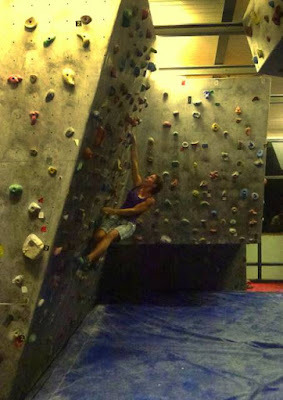 Round 4 of the WP Boulder League was back at UCT. Benjamin de Charmoy and Marijus Šmigelskis both managed to send all the hard problems for full marks on the night. Clara Grant and Rachelle de Charmoy matched each other's scores for a tie in 1st place. NB: Round 5 will be at UCT next Tuesday, 28 Feb, NOT at MCSA. Check the full results after the jump.